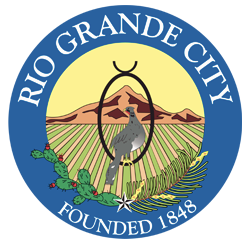 The Rio Grande City municipal judge may be re-appointed to his job despite receiving a public reprimand from the state earlier this month. In a report released on June 6, the State Commission on Judicial Conduct issued a public reprimand of Rio Grande City Municipal Judge Leonel “Leo” Lopez Jr. for violating the Texas Code of Judicial Conduct. On Wednesday, the Rio Grande City commissioners will consider re-appointing Lopez as municipal judge as his contract is up for renewal. Messages left for Lopez seeking comment were not returned before press time. A report on their findings concluded he lent the prestige of his office in support of J.M. “Chuy” Alvarez, the current Democratic nominee for Starr County Justice of the Peace Precinct 1 who was running for 229th District Attorney at the time, by sharing one of Alvarez’s campaign advertisements on his Facebook page sometime around Jan. 21, 2016. The commission found he also lent his support to Rio Grande City Mayor Joel Villarreal and City Commissioners Rey Ramirez and Dave “Chachi” Jones, when they ran for re-election in 2016. Lopez was seen sitting under the campaign tent for those three candidates during the election and shared campaign advertisement for them on his Facebook page sometime around March 13, 2016. According to the commission’s report, Lopez responded he had no involvement in their campaigns and he did not authorize the postings of either campaign advertisements on his Facebook page, claiming he was not aware of the posting until the commission’s inquiry. While early voting was underway for the 2016 city elections, The Monitor reported allegations Lopez was openly supporting one group of candidates by sitting underneath their campaign tent just outside a polling place. “How am I openly supporting a candidate?” Lopez told The Monitor at the time, arguing his presence at one group’s camp did not equal an endorsement. The reprimand is the highest public sanction the commission can issue, according to Royce LeMoine, deputy director of the commission on judicial conduct. Ramirez, one of the city commissioners, said he couldn’t answer whether the state’s reprimand would affect Lopez’s appointment because he did not have all the information at hand. Villarreal, the city mayor, could not be reached for comment.